* For get a detail information of product, instruction, guide and software, Pls visit to official page of product. USB to TTL CH340, 5V/3.3V - Serial Converter, with Micro USB socket. Logic level tolerance for 3.3V and 5V, not need switching. 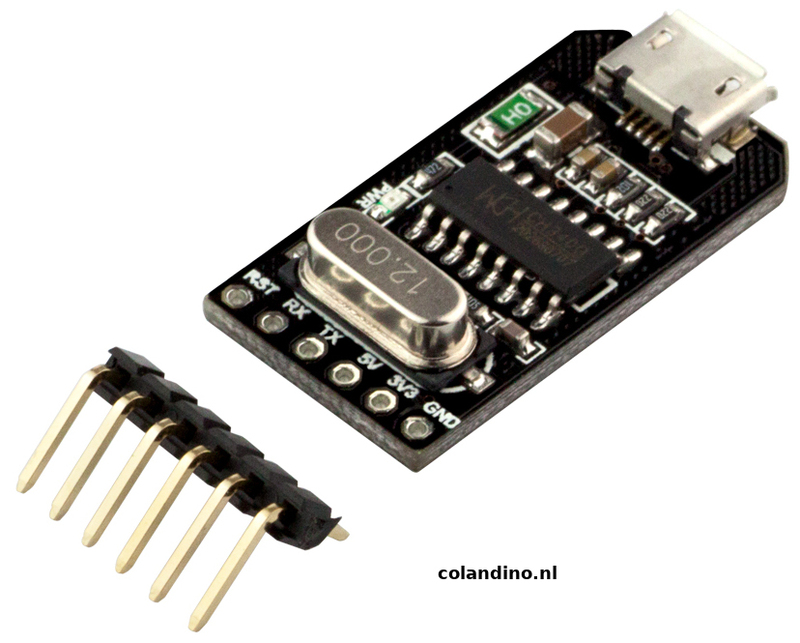 Base on USB converter IC CH340G, with frequency 12MHz.